14.3% alc., $28. · Pale golden straw color and clear in the glass. Green apple and pharmaceutical aromas. An austere wine with very little flavor offering demure notes of apple, lemon water and subtle oak. Crisp and easy drinking but lacks interest. Decent. 14.3% alc., $37. · Pale golden straw color and clear in the glass. Interesting aromatic profile offering scents of dried mango, lemon curd, ocean air, lees and seasoned oak. Nicely flavored, featuring lemon zest, pastry cream and butter. On the austere side but more interesting than the Sonoma Coast bottling with lively acidity and some length on the finish. Good (+). 14.6% alc., $45. Dijon clone 76 from a 4-acre vineyard at 650-700 feet elevation. Barrel fermented and aged on the lees. · Light straw yellow color in the glass. Shy but pleasing aromas of apple, lemon zest, and tropical fruit assortment. Crisp and juicy baked apple, citrus and caramel flavors in a delicate style. The oak is complimentary without being indulgent. Very good. 14.4% alc., $39.95. · Golden yellow color and clear in the glass. Oak-driven aromas of toffee, butterscotch, allspice and mocha java with baked pear in the background. Tasty middleweight flavors of baked pear, baked apple, honey, oak toast and minerals with good fullness and roundness. The heavy oak influence is not for me personally, but the wine is well crafted in its style. Good (+). 14.1% alc., $24.99. · Light straw color and clear in the glass. Appealing scents of baked apple pie, toffee and caramel. Flavors of honeycomb, green apple, pineapple, toffee and oak. A wine of considerable nuance, leaning a little heavy on oak, with reasonably good length on the refreshing finish. Good (+). 14.1% alc., $13.99. · Very light straw color and clear in the glass. Aromas of pear, lemon curd and vanilla, fading over time in the glass. A light, crisp style with pear, apple, honey and subtle oak flavors, accented by a flinty, minerally note. Decent. 13.5% alc., pH 3.38, TA 0.75, 1,470 cases, $35. Sourced from independent growers (67%) and Freestone estate vineyards (33%). Aged 8 months in 20% new and 7% two to three-year old French oak barrels. · Light yellow in color and slightly cloudy. Uplifting aromas of lemon curd, pomelo and baked apple. 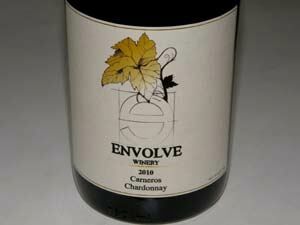 Delicious flavors of lemon tart, white pear and subtle oak with bright acidity driving the wine. Finishes soft and creamy. A very classy wine at this price point. 14.5% alc., 800 cases, $26.99. 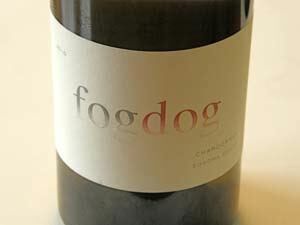 From a 50-acre vineyard at 1200 to 1700 feet elevation, one mile from the coast above the coastal fog. Winemaker is Jeff Pisoni. · Light golden straw color and slightly cloudy in the glass. Aromas of golden apple, lemon curd and seasoned oak. Tasty core of baked apple, oak spice, and nutty flavors. Polished and well-crafted. Very good. 14.7% alc., 550 cases, $28. One of three wine brands from Somerston Wine Co., made under the direction of General Manager and Winemaker Craig Becker. · Light straw color and clear in the glass. Peach, honey, butter, roasted nuts, and yeast aromas are featured. Tasty core of baked apple, citrus and vanilla wafer flavors in a restrained, demure style, finishing with a good cut of citrus that makes an enjoyable impression. Very good. 12.6% alc., pH 3.46, TA 0.66, $35. Whole cluster pressed, cold fermentation in stainless steel tanks, no oak, wild yeast, natural MLF, 6-month fine lees contact without fining or filtration. Wente clone on original rootstock planted in 1982 at 1600 feet above the Anderson Valley. Shallow clay over fractured rock leads to low yields. · Light yellow color and very slightly cloudy in the glass. Aromas of spiced pear, honey, gardenia and ocean air. Very light and transcendent in the mouth with flavors of Meyer lemon, green apple, and nori, finishing tart and lemony. Picked at low Brix to produce a lean, acidic style. Very good (-). 14.9%, $48. 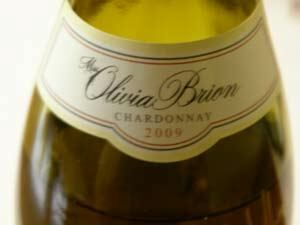 · A big, full-on style of Chardonnay in the Kistler tradition with plenty of attractive buttery white stone fruit and citrus aromas and flavors. Oak is involved but not intrusive, while the alcohol lends body and creaminess. Very good. This is the newest vineyard from the Gary Pisoni and Gary Franscioni families, consisting of 40 acres of Chardonnay, Pinot Noir and Syrah on the Santa Lucia Highlands bench about 9 miles north of Pisoni Vineyards. The vineyard is named after José Maria Soberanes, who pitched a tent on this site when trekking from Mexico with the Portola expedition of 1769. His son, Feliciano, acquired the rancho as repayment for forty horses, fifty head of cattle, four oxen, and some sheep. The area was then called El Camp Real del Chocolate or Chocolate Camp. The vineyard is blanketed by fog every morning at about 450 feet elevation, conditions that allow low temperatures for slow ripening of grapes. The rocky soils are ideal for wine grapes. Row direction runs from north to south to have more uniform sun exposure with tight spacing of vines. Multiple clonal material was used for the Chardonnay block. 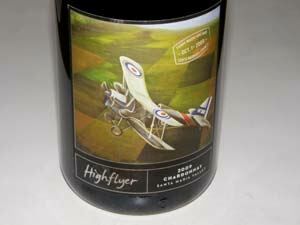 Wineries sourcing Chardonnay from Soberanes Vineyard include Bernardus, Black Kite, Brack Mountain, Lucia (Pisoni Family), ROAR (Franscioni family) and Testarossa. 14.3% alc., 300 cases, $40. Native yeast ferments. Aged 16 months in Latour and Francois Frères oak barrels. · Light straw color and very slight haze in the glass. Demure aromas of lemon, green apple, petrichor and ocean spray. Delicious core of baked Bosq pear, caramel, honey and very subtle oak. Reserved but seductive with a creamy, spirited finish. A very classy, black tie wine that keeps everything in perspective.